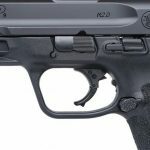 Smith & Wesson's expansive M&P M2.0 Compact pistol series just got even more compact with the introduction of a model that features a 3.6-inch barrel. 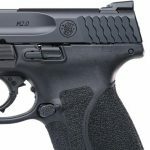 Never one to rest on its laurels, Smith & Wesson continues to announce new handguns at a breakneck pace; the latest model to be revealed is a M&P M2.0 Compact pistol with a 3.6-inch barrel. 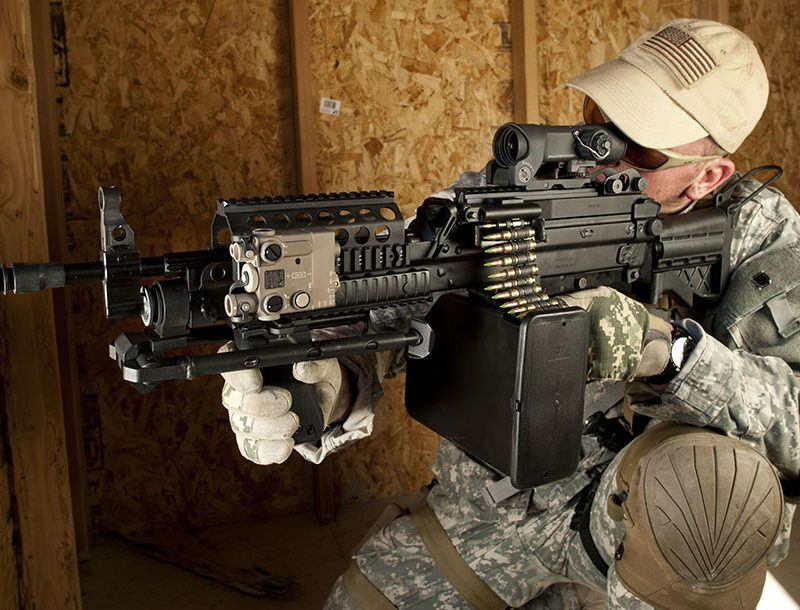 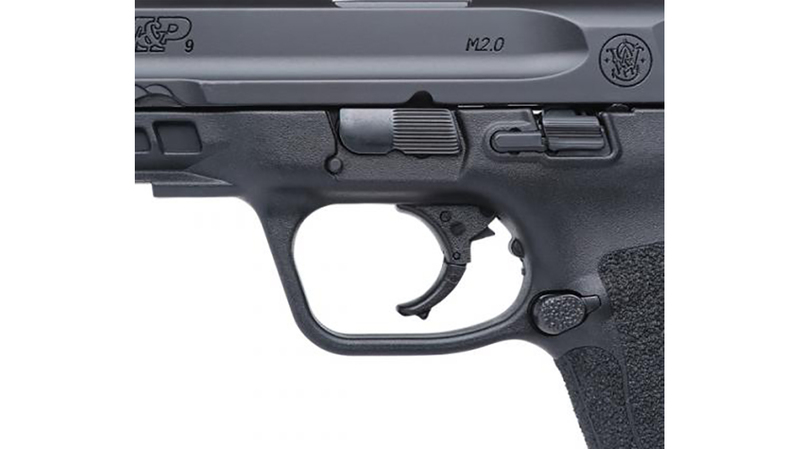 It comes with the same features and magazine capacity found in the four-inch-barreled M2.0 models. 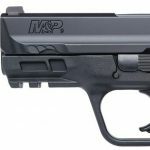 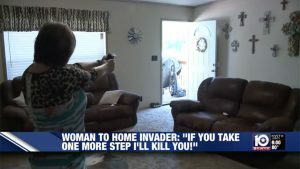 “When we launched the M&P M2.0 Compact pistol series with a 4-inch barrel last September, we knew it was just the first step in expanding the popular Compact pistol size offering. 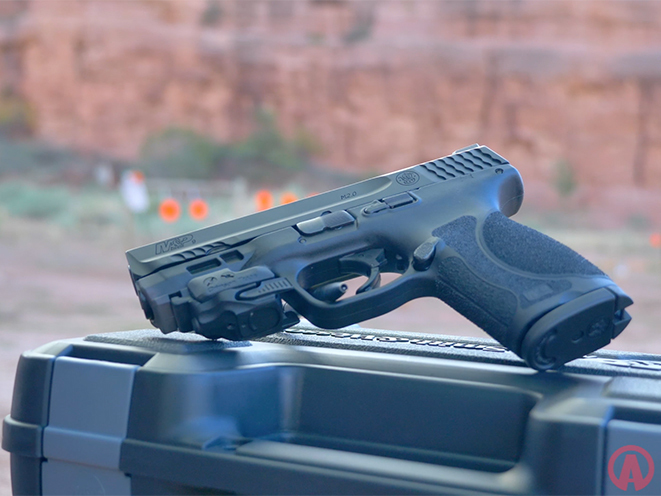 During the development process, there was considerable interest in a shorter, 3.6-inch barrel concept, and with this introduction, we’re now able to offer our consumers a lighter, shorter compact pistol for concealed carry. 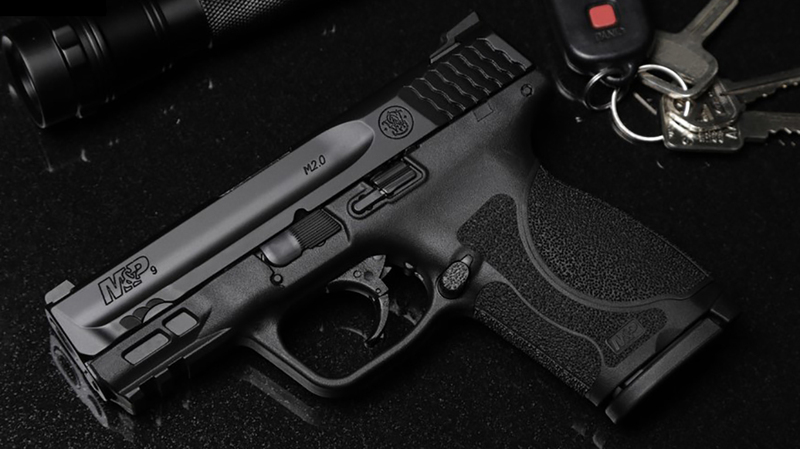 While the barrel length is shorter, the M&P M2.0 Compact 3.6-inch pistol maintains the 15 round, 9mm magazine capacity of the Compact series– an important requirement for many of our customers,” Jan Mladek, GM of the Smith & Wesson and M&P brands, said in a statement. 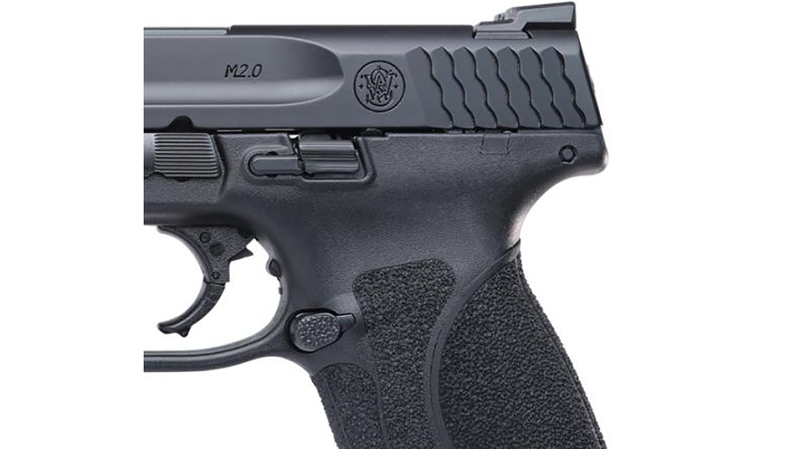 The 3.6-inch-barreled M&P M2.0 Compact comes with or without an ambidextrous thumb safety. 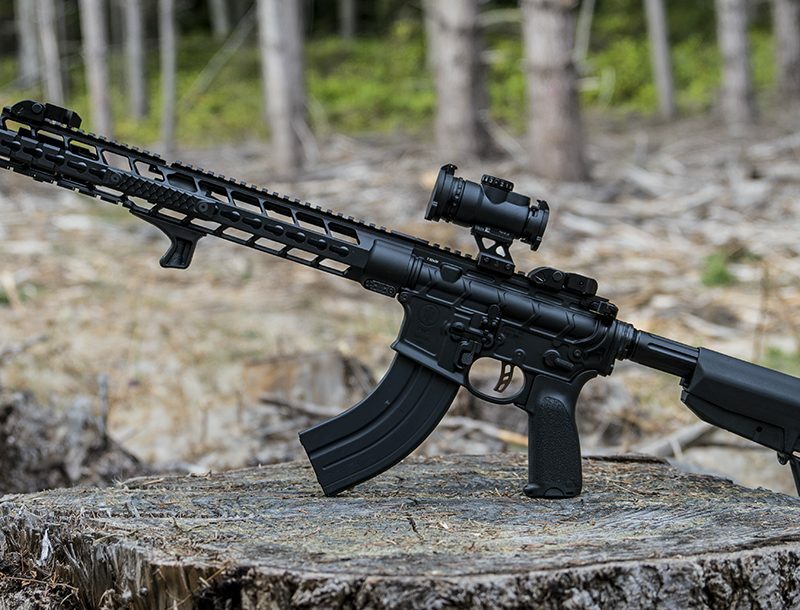 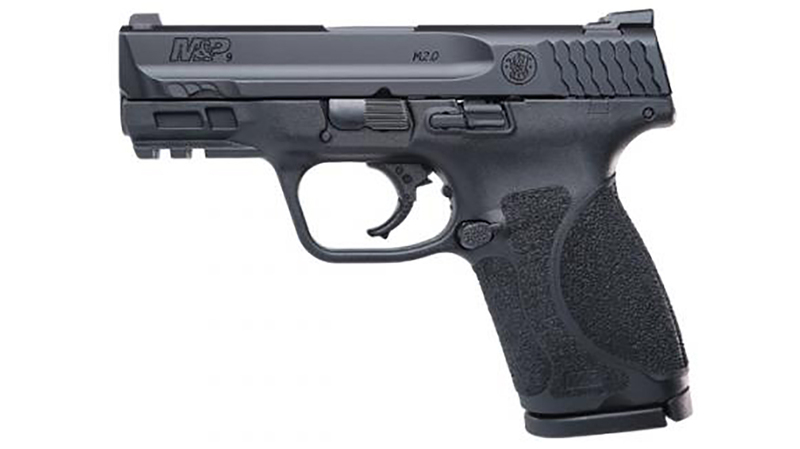 In addition, this model sports an aggressively-textured grip; four interchangeable palmswell grip inserts; M2.0 trigger with a tactile, audible reset; white-dot front sight; and a white two-dot rear sight. 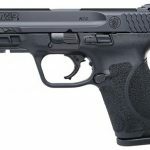 This gun is available in both 9mm and .40 S&W. 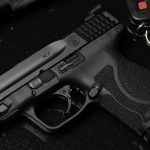 The 9mm variant has a 15-round capacity, while the .40 S&W is a 13-rounder. 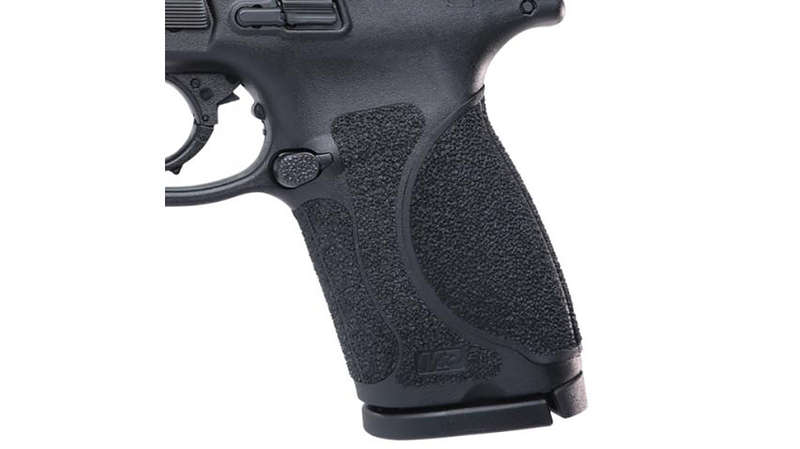 The pistol ships with two magazines. 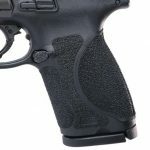 Two magazine extender sleeves are also included for use with full size mags, Smith’s presser says. 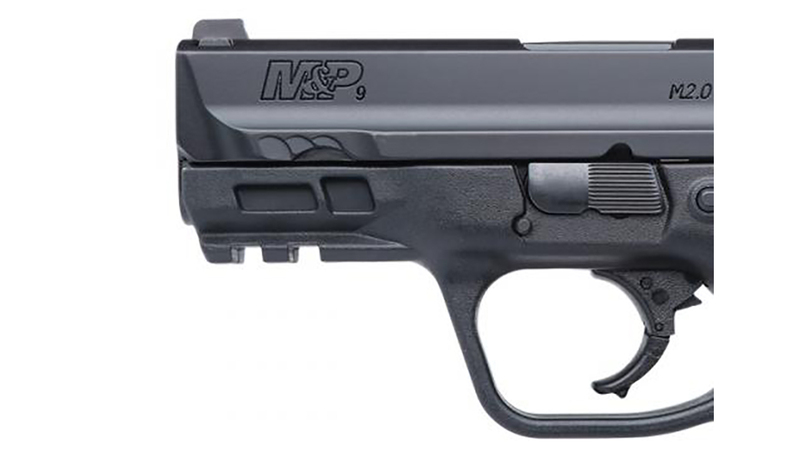 MSRP on the 3.6-inch M&P M2.0 Compact pistol is $569.